Review Summary: Tamasha has breezy energy and great chesitry between the leads. Worth a trip to the cinema! Tamasha is at best a one-time watch because of the sparkle the leads lend to it. It could have been so much more. No one understands a complicated heart better than Imtiaz Ali. Well, this movie has all the dum required for a good film. ‘Tamasha’ will quench the thirst of all those who love to see good simple films. This movie is not highly entertaining like ‘Yeh Jawaani Hai Deewani’ or hard hitting like ‘Rockstar’, but has its own merit to cherish. In the end, Tamasha doesn’t come together satisfactorily, but it’s not for a lack of trying. I’m going with two-and-a-half out of five. There’s a lot to appreciate here, and more than a few moments that’ll break your heart. Tamasha isn’t perfect, but it has heart and a sincerity of intent that sets it apart from many other films we’ve seen this year. Imtiaz Ali the director of the film is smart enough to play with this subject in different ways and once again in Tamasha he has maintained his unique style and cool script before the audience. Imtiaz Ali had tried to recreate the magic of ‘Love Aaj Kal’, but diverted it to a different route, for the fear of being caught. Unfortunately, that different route would appear dangerous. फिल्म में संगीत ए आर रहमान ने दिया है. अगर आप एक अलग हटके लव स्टोरी देखना चाहते है और रणबीर-दीपिका की मटरगस्ती के दीवाने है तो फिल्म जरूर देखे. Ranbir Kapoor- Deepika Padukone’s journey will make you plan a Corsica trip right away! or Ranbir and Deepika fans, TAMASHA is one helluva treat! 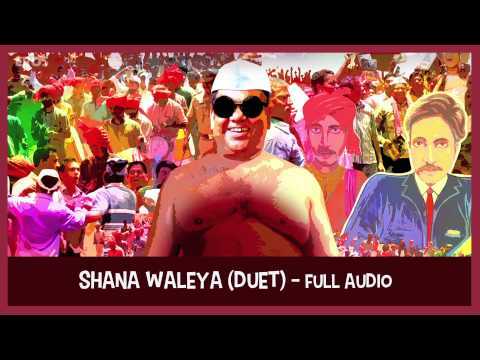 अगर आप रणबीर-दीपिका की जोड़ी और इनके अभिनय के कायल हैं, साथ ही अगर आप इम्तियाज अली की फिल्मों से इत्तेफाक रखते हैं, तो 'तमाशा' जरूर देखें. But, at points, the film did seem to stretch a bit. A must watch for any and every movie-goer! If you love cinema, Tamasha is the movie for you. In short, it is a good movie. Nothing wrong in going to the hall and watching. Throughout Tamasha, there is a recurrent line - that it is always the same story of boy meets girl and society creates a rift between them. 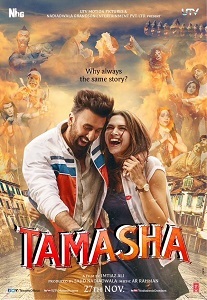 This time it is ‘Tamasha’, same spice with a prodigious touch of Imtiaz Ali, This surely is going to go well with the college and young audiences. The film will score big at multiplexes but will have limited appeal outside metros. There will be plenty reasons to watch this beautifully shot film. This is one of the good films of this year. Ranbir Kapoor-Deepika Padukone Shine Throughout! Any film that makes you go into a thought circle like that has won me. While Tamasha might have aimed at it, it won't make you get up and relook your life and the many faces you carry. Deepika Padukone and Ranbir Kapoor's Tamasha is an experience in itself, against the backdrop of Corsica. Tamasha is not a romantic comedy but it is breathtaking. It will knock the wind out of you. It is the kind of love that changes you, brings out you real self - sometimes ugly, very eccentric, absolutely weird but equally lovable. But Tamasha, despite bringing in a touch of tamasha, is a one-time watch for sure.